Before Achtung Digital embarks on the women’s circuit in New York, London, Milan and Paris, we bring you one last men’s highlight from Umit Benan, the German-born, Turkish-national, Milan-based men’s designer who had a show in Barcelona last night as headliner of 080 Barcelona Fashion. 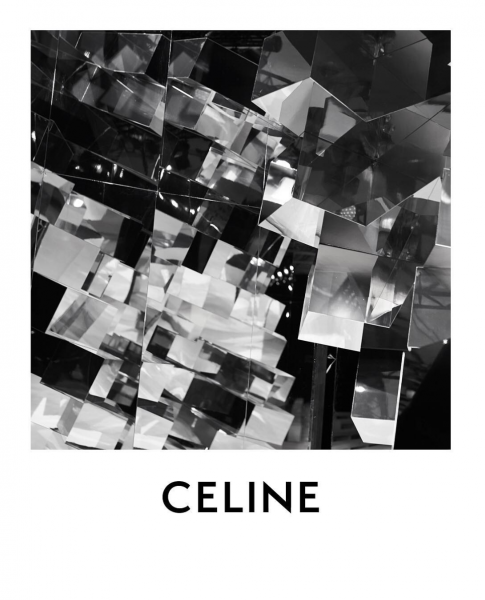 He has been one of the most interesting men’s designers of the past decade. Eschewing the runway in Milan and Paris for a few seasons now, Umit Benan has quietly reorganized his business model and is now based in Milan and Istanbul. 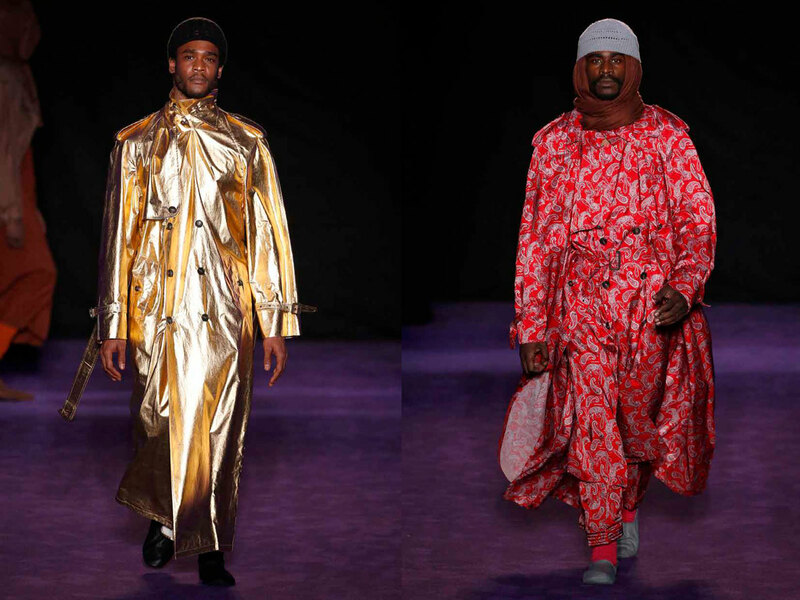 After a few seasons of only online operations, he returned to the runway last night as guest designer of 080 Barcelona Fashion and proved that he is still a very relevant voice in contemporary men’s wear. 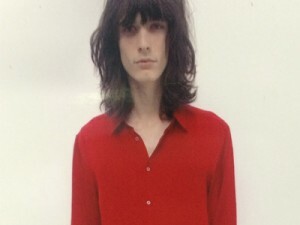 His show managed to find the right balance between design statement and a concept merch-driven runway. While in his early Milan shows, the concept often took over the clothes or simply there were not enough of them, Benan has assumed the role of a classic men’s wear designer: Impeccable fabric research coupled with a wide, but straight-line silhouette have become his signature. 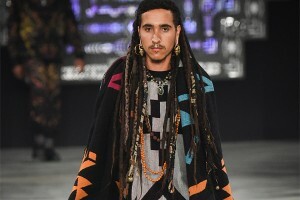 The Barcelona crowd was captured by his “God is Black” theme for this show, which interpreted sartorially the hardship, and prejudices Muslims and African Americans endure in this world. It’s obvious that Benan has been spending more time in Turkey, as the opening of the show was a communal prayer acted out by five different men. For Benan, prayer is the place where everyone is equal, no matter the worth of their dress and shoes. And while in Milan, he does not hear much of it, in Istanbul loud speakers are booming from mosques for the adhan or call to prayer all day long. Again, it’s nice to see Benan link up his personal life in his collections. 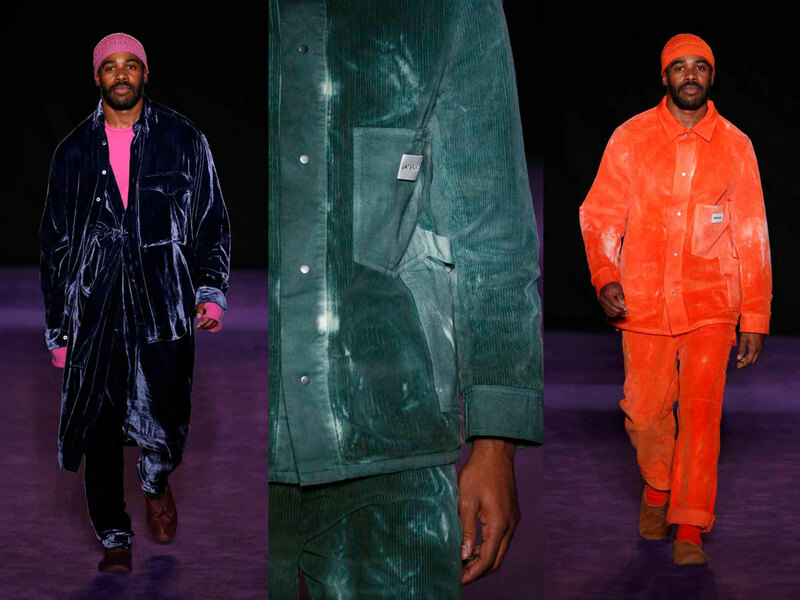 There was a series of tie-dyed baby corduroy workers jackets and pants in orange and greens in crushed velvet with the Benan logo on the outside pocket which looked like a whole new trend owning the entire season. 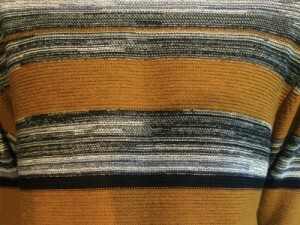 It was very strong and proved that this designer’s instincts are right on track as corduroy has been making a runway comeback. Creative use of materials in bold colors on the runway of the F/W 2019 show. 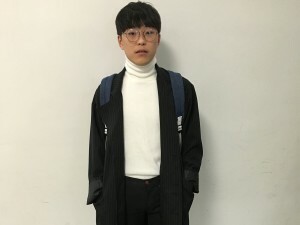 While in the past, Benan often wore his heart on his sleeve and used his shows even to communicate with the women in his life, he has matured and is now more focused on the clothes. 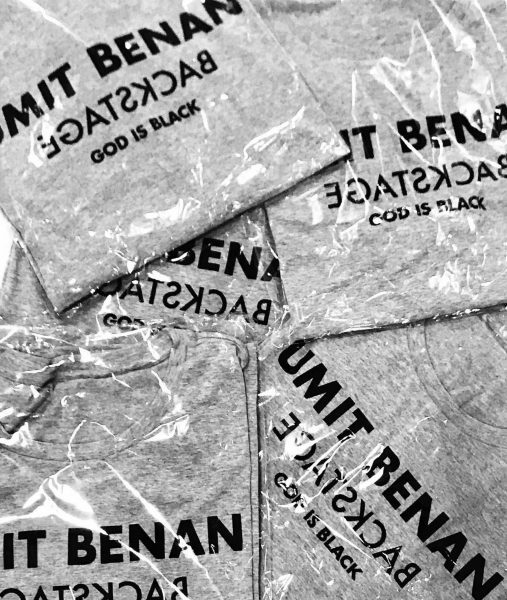 The concept is still strong as in “God is Black” but it does not take over the collection anymore. It also becomes apparent that Benan is a good tailor with a clear understanding of fabrics and how they fall. Simplicity in the form of classical tailoring and elegant colors. The paisley printed silk trench coat and shirt towards the end of the show and the gold coat were powerful fashion statements. 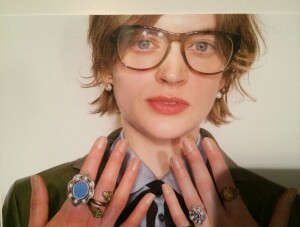 The highlights of the show were cool materials and the eye-catching paisley print. XXL communications is Barcelona’s best fashion PR agency and its founder Alex Estil·les had the courage and fashion intuition to bring Umit Benan to Barcelona to headline the 080 Barcelona Fashion days. 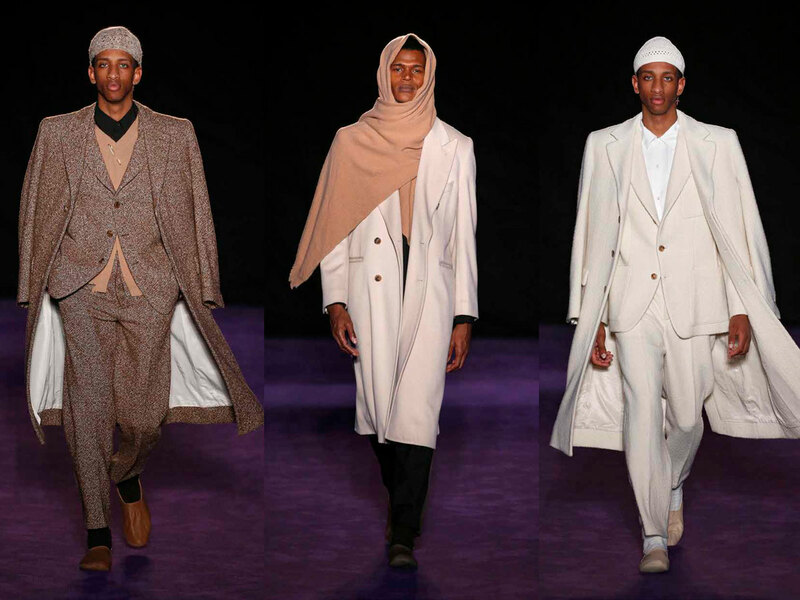 Let’s not forget, Benan’s show concept of bringing Muslim prayer and black models to an ultimately conservative city was revolutionary in itself. And that’s what good fashion is about: taking risks. This is one of the new fashion capitals in the world. Here are three things you need to know about its magnificent street style scene.